A decentralized gambling and betting network. 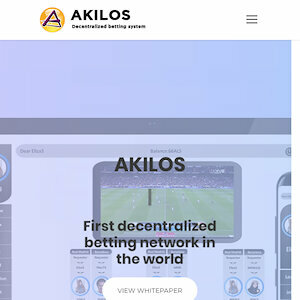 Akilos has Created an Application Network for Betting Services. It also has a Platform, Utilizing Artificial intelligence, that has created a Safe Environment for Fair and Direct Deals. The Akilos Platform are able to Connect to Casino Smart Systems and Other Betting Services. By using Artificial intelligence Technology, the Akilos can Reduce Costs and Create a Safe and Non-fraudulent Environment.